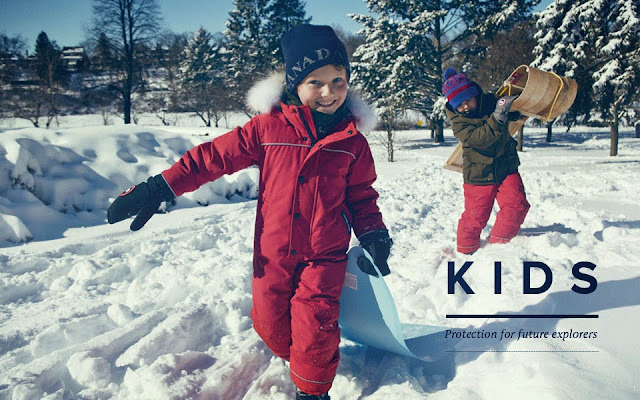 It's so awesome that Canada Goose makes kids snowsuits. I didn't know that! He is absolutely adorable in his snowsuit and looks so happy to be in it! Thanks Jeannie! Yes, he was super warm! Ive never heard of this company. My daughter just got a hand me down winter coat from a friend, but the sleeves are very worn and will not be warm for winter. So we could def use a nice warm snowsuit! Amy, the Grizzly one is very warm! Love Canada Goose products - they are so well made and so warm! I've seen the one piece snowsuits for little kids but not for bigger kids - very cool! Love the pictures you've posted. I love Canada Goose, I wish that little one piece fit me lol actually I didn't know they made those. MVTB, I would absolutely wear one too when tobogganing with my kids! Canada Goose products looks so warm. Have never had one yet, hopefully sometime soon though. We usually bundle up in layers to keep warm. 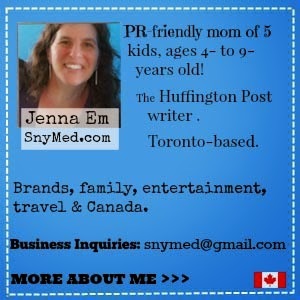 Jana, their products are popular for good reason. Very warm, very well-made. 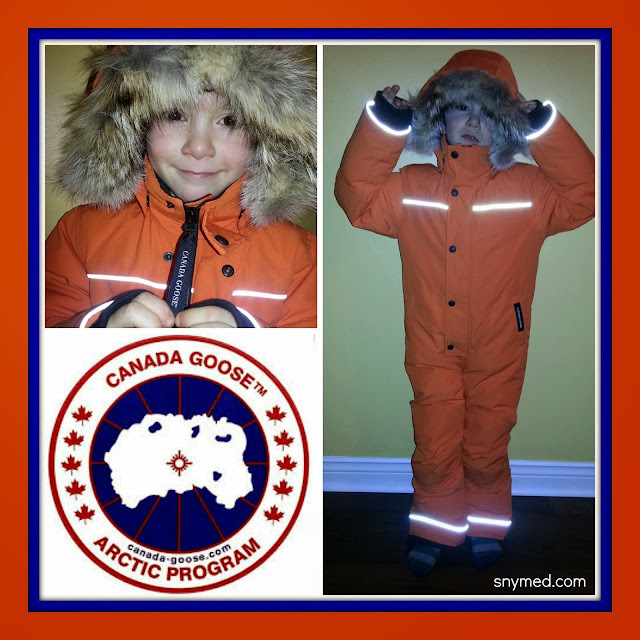 What a great snowsuit Jenna, I had not heard of Canada Goose before. It looks like a really fantastic all in one suit and I love that the graduate system allows for another year of wear. At $500 that would be a must for me. Suz, they also have a neat "This snowsuit belongs to" label that allows for 3 different jacket owners, as it's passed down from child to child. Now THAT'S a vote of confidence that the snowsuit's built to last! This brand is the best of the best. Big Fan! Kyla, this winter I think they're going to make a whole lot of new fans! I LOVE that it is 1 piece! No worries about drafts or snow getting in. And what a great selection of colours they have. Kate, the colours are great! 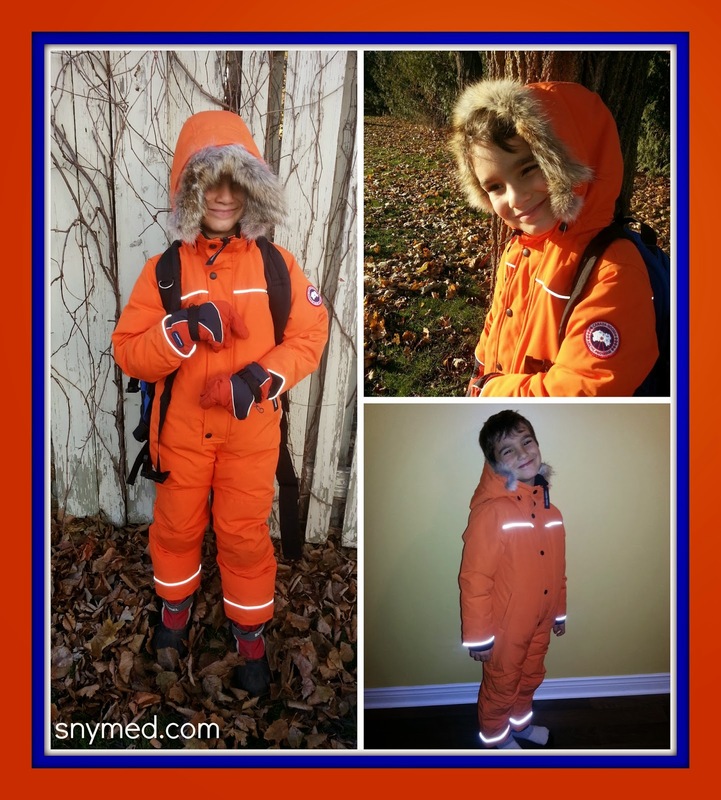 My son was so delighted for a snowsuit in his very favourite colour (orange). That's a great suit. Keeps them warm and dry while being a colour bright enough to been seen and safe. They make great products. Wish my closet had one! Catherine, it really is a nice one! I will not have to ask if my son is warm enough this winter. I totally love this Canada Goose Snowsuit in Sunset Orange,i bet he's toasty warm inside !